Today, virtually every organization running SAP recognizes the value of eliminating manual accounts payable (AP) processing to gain the efficiencies that automation brings. If any were not convinced, the recent economy and its effect on financing costs should be enough to erase any doubt. 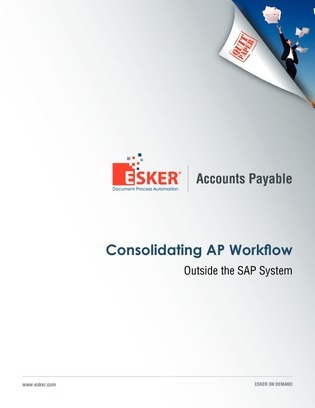 In this paper, discover the results that Esker research found indicating that accounts payable automation can typically save organizations 40 to 60 percent of operational and administrative AP costs. Also explore the abundant benefits that automated processing of vendor invoices can help business like yours achieve.